It's Wedding Time again here on the blog! I am doing a wedding feature today and tomorrow featuring how to hand-make your wedding things - thank you cards, bridal shower, save the date and invitations. I did one in the spring - Click here to check that out. 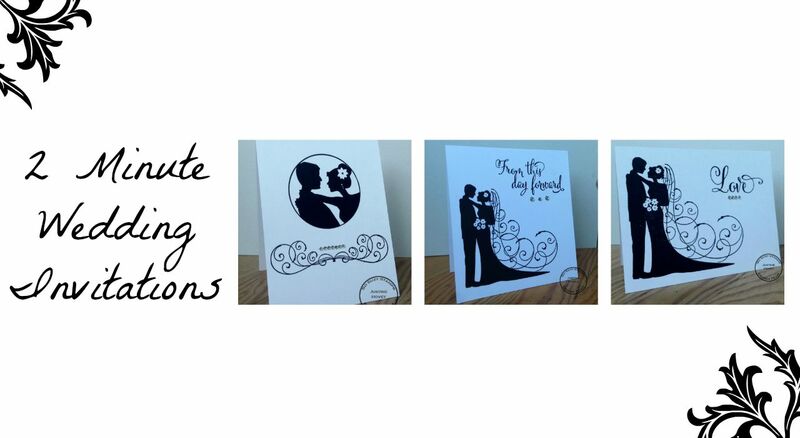 Today I am bringing two minute cards that are easy to reproduce in bulk which is perfect for the busy bride. I am using the Bride and Groom Stamp, Bride and Groom Circle and the Flourish Border. 2. 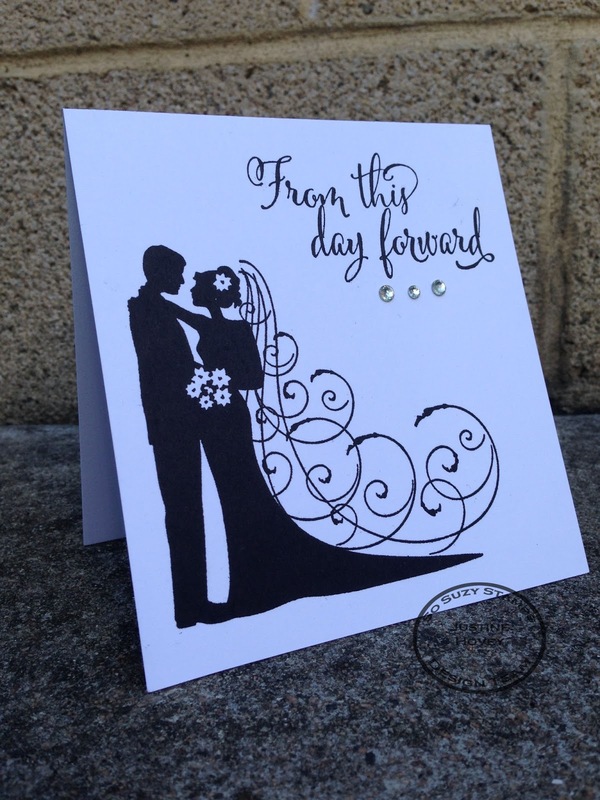 Stamp the Bride and Groom Stamp and the From this Day Forward Stamp in black ink. 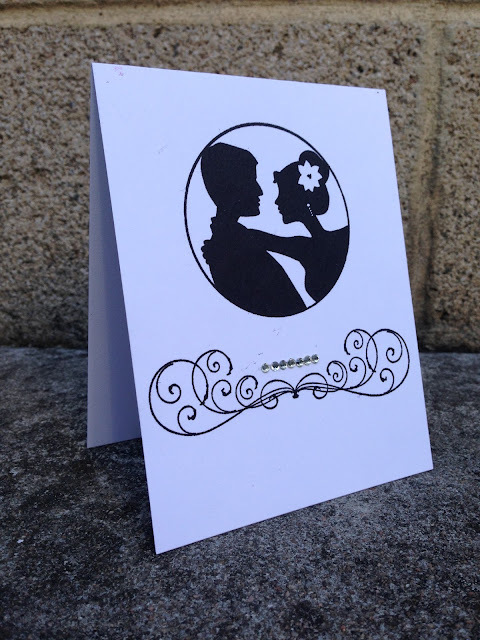 Alternative Option: You could make the card base in the colour of your wedding colours. Then simply cut a piece of white cardstock at 5 1/4 x 5 1/4. Do the stamping and paste it on the card base. 2. 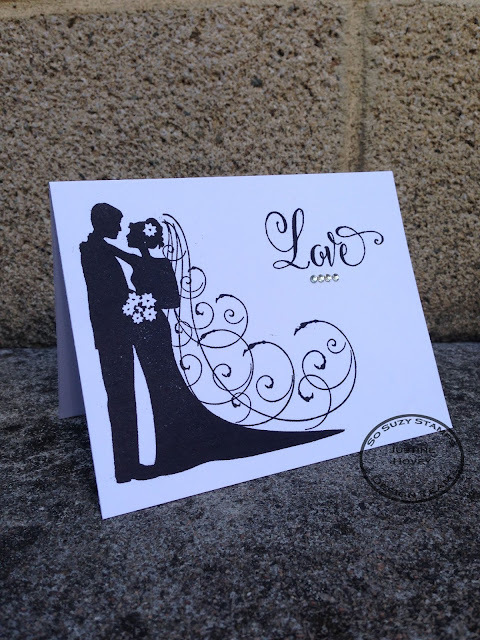 Stamp the Bride and Groom Circle and the Flourish Border in black ink. 2. Stamp the Bride and Groom Stamp and the Love in black ink. 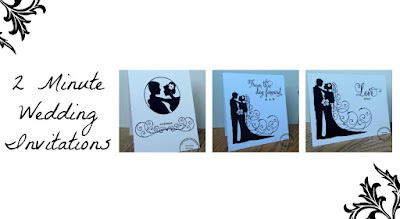 Beautiful your wedding invitations, Justine. I love them when I've seen in facebook group. The tutorial and the video are fantastic. Great job. Thank you so much. These are awesome Justine! ^__^ So easy to make in bulk as wedding invites! Really great idea! <3 *Big Panda Hugs* Of course I love all three.. couldn't possibly pick a favorite!! Justine, these are terrific! Love your video, great details. Gorgeous! Thank you for taking the time to do a video. Would love to use these for my son's January wedding.